There used to be a time when you would call your stockbroker and they would tell you what to do with your money, no questions asked. You can still do this, but there is such an abundance of financial, market and political data now that many people can play their own hand in the market with plenty of electronic guidance. Or you can buy into an indexed mutual fund where finely tuned algorithms are doing their work in the background, and you just choose your level of risk tolerance. What you know, reliably, is that investments in companies in almost every sector of the economy—tech, industrial, healthcare, consumer, financial and real estate—are maximizing their businesses with the latest technology, data science, artificial intelligence and customer analysis, and all the other levers that operate modern society and the economy. Unfortunately, this is far from the case in higher education where we are squarely in the technology and data dark ages, a good ten years behind the corporations we are supposedly preparing students to be employed by. The separation is growing daily. This is deeply sensed by students who see an expanding chasm between their personal and social electronic life and campus operational eccentricities that cost them time, money, connectivity and poor visibility into their futures. The point is not that colleges and universities should operate exactly like businesses, but that they should examine their plant, equipment, hiring, customer care and automation investments through similar lenses, because we live in an era with extraordinary tools. Who Owns the Data Responsibility? This kind of analysis is not something a CIO’s office or hired consultancy can do by itself. Leadership must invest time and energy and try to think about these issues, starting from a blank slate about how to best serve their constituencies, students in particular. Unfortunately, many presidents, provosts and cabinet members are confronted with an array of data and technology products, mostly from vendors, and are asked to read through internal recommendations and external consultant reports about technology and data products and services, and simply ratify choices between competing products or services. I won’t go through the names of the companies in student information system (SIS), learning management system (LMS), student success, student lifecycle and data analytics spaces because competent people can choose between these alternatives. c) Find out what the institutions and students receive in demonstrable value from these categories of products and services. Circa 2017, higher education leaders should be well beyond simply choosing between existing products and services that are presented to them. Instead, they should be asking, what does the institution actually need to do to be more successful, what does success look like, and how can they look beyond the current vendor mix for better fitting solutions. The corporate sectors mentioned above, including healthcare, are far beyond what I would call “legacy stretch” and deeply into consumer, client and supply chain data automation. Legacy stretch means moving from tools that were once on paper, then on floppy disks, next on the campus backbone and now in the Cloud. Because these systems are in the Cloud does not make them modern, data-rich or machine learning-capable. It simply means they have been stretched from physical products or services to their digital or remotely hosted counterparts. The other sectors went far beyond the “stretch” to completely redesign from the bottom up. In this case, bottom up means starting with the student and what is needed and meaningful to them, which ultimately affects the institutional bottom line. For all the talk about student-centric, student-lifecycle and student-success models on the campus, the stark reality is that compared to their corporate and consumer counterparts, campuses concentrate more time on their internal structures and its issues than they do on their students (customers). And it’s not the fault of the campus alone; that behavior is also baked into the current technology products and services that are sold to each separate buying silo on campus. If only 60 percent of faculty use an LMS, which is about the national norm, then buying student success solutions that are dependent on data feeds from the LMS and SIS might not be the smartest thing to do because the data flow is inhibited by the limited and irregular use of the LMS on campus and the inherent limitations of the SIS. Similarly, the SIS is not a data-smart system across student functions. If it were, it would be able to machine-read the content in courses and assessments, in campus services, career counseling and provide reliable feeds of information and analyses to students, faculty and administrators—just like Facebook and Snapchat do for their users and advertisers. Instead, the burden is on student to get electronic messages from four or five different places on campus and from a number of offices scattered across campus they are supposed to visit physically. But without a coherent, data-rich, electronic tether, the college experience for students begins to fade in relevance, value and connectivity. A campus can bulk up on success systems, but if each one does not bring more clear day-to-day experience and ease of navigation to students, then the value of such systems should be questioned. No commercial or consumer company would make the bar so high for its customers or clients. Instead, they go out of their way to remove these barriers day in and day out. However, the existing structures on campuses make the kind of re-engineering corporations went through almost impossible because of academic governance, the culture of committees, and the inability to have a single point of electronic contact with students. So, what should a higher education leader know today about data systems and data? Campus products and services are antiquated because they are not moving toward merging capabilities into single, data-rich systems. 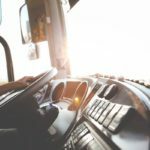 The new, large analytics, student lifecycle managers, and customer relationship management (CRM) players are interesting and much more, data wise, but their success relies largely on the use of legacy-stretched systems. 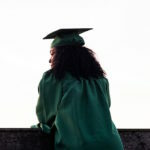 If dropout rates are north of 25 percent, your institution is failing behind in ways that require new kinds of thinking and new tools, not shifting deck chairs. Ultimately, the data needs to flow from various campus services to be integrated at the level of student-controlled primary accounts that students control and into which official feeds come with more reliable information on each student. Then that account can provide reliable data back to the campus. But the lifecycle managers are not silver bullets for a simple reason. The solutions that will drive change, keep students in college and connect into the workforce, by definition, have to be student-owned and operated, just like every other social media app where engagement is authentic. Silicon Valley is not up to this challenge and few others are because it is complicated. Where is the future that will genuinely connect students to their academic life on one hand and their future work and career on the other? 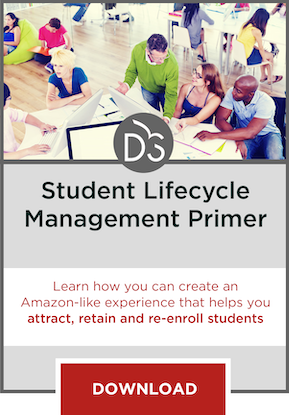 There are several bright spots including the drift toward more comprehensive student lifecycle management that involves students directly. Cambridge, MA start-up PragyaSystems.com has taken their knowledge of the LMS, SIS and other campus systems and created “Learning Streams” that pass each students data from all systems and runs it through IBM Watson so Big-Data analysis can be applied at the student level to bridge learning and earning. (Disclosure, the author was a consultant for Pragya). Austin, TX, University of Texas System’s Institute for Transformational Learning, UTX.edu, is at the other end of the spectrum, where the UT System’s upper management is fully behind completely rebuilding the technology to meet the K-to-work needs of Texas. The effort incorporates flagship involvement from SalesForce and novel building of new student transcript systems using BlockChain technology. Luckily, the UT System has the funds and mission for actual student-up transformation that re-organizes all of their work as a system serving campuses. But for a startup or a system to break laterally into the individual college or university technology stack and academic administration is not easy, largely because there is not a high-level owner in an institution that owns student data throughout the student lifecycle. The institutional breakdown is that there are silo-based buyers who work cooperatively with the CIOs office on purchases, but no overall high-level steward to make sure all the solutions are properly harnessed for student learning and completion outcomes. The nonprofit I run has been in constant dialogue with many institutional leaders, technology providers, publishers, researchers and startups inside and outside of higher education. Our mission is to open up the dialogue that will involve students directly as a strategy for student and institutional survival. This redesign and is needed now. It should be a priority. Put out the word that you want the next-level conversations to occur. Band together, have the forums, attract participants outside campus tech, have campus tech and data solutions make the student experience generalized across multiple solutions. Bring students in to talk about the single app to connect their learning, support and career possibilities. Build the specifications and descriptions of the solutions you need. Do not rely solely on making choices between what exists and is emerging. Without a comprehensive app in hand and the strategic data back-end that aggregates all student interactions with the institution, it will be difficult for colleges and universities to keep pace with the needs of employers and for students to merge their learning into their social context.